Photo: Zane Selvans. Creative Commons BY-NC-SA 2.0 (cropped). Cooperatives represent a growing segment of the economy with an estimated 30,000 enterprises and 100 million members in the United States alone. 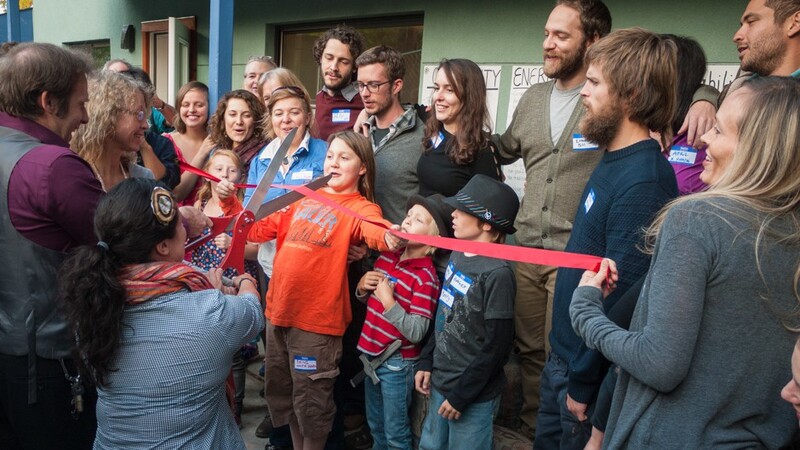 A great way to bring democracy into the workplace, co-ops can be built from scratch, but they can also be created by converting existing businesses into worker-owned cooperatives. For retiring business owners as well as entrepreneurs, selling a business to employees is a way to strengthen the business while getting a return on investment. Melissa Hoover, executive director of the Democracy at Work Institute (DAWI), says that co-op conversions are one of the most promising sources of new cooperatives as they already have customers, assets and employees, which makes it less risky than a startup. She also notes that those co-ops created from conversions are among the most passionate members of the US Federation of Worker Cooperatives. When converting an existing business into a co-op, there are numerous questions that need to be answered. Do the employees want to create a democratic business? Are funds available for a buyout? How will the business be structured? How long will the transition be? Does the selling owner want to stay on? Though it takes time to work out the details, answering these questions is an essential part of the transition. What it entails: research and reading, worker ownership succession options workshop (for owner and their leadership team), initial owner conversation with employees, Worker Co-op 101 workshop for the employees, owner and workers decide to move forward, select steering committee, contact outside transition support team. This stage is to get the ball rolling and for the business owner to decide if they’re interested in converting. It’s also about educating everyone involved about the cooperative model, determining if there’s interest in becoming a co-op. According to Rinehart, this is best done as a facilitated conversation with a skilled co-op transition professional. If there is commitment on both sides, the next step is organizing the key players and moving the process forward. Once the worker co-op has been launched, it’s important to have regular check-ins about the business and to maintain clear and open communication. The structures put in place are not only for current employees but for future employees as well. You want to make sure there are processes in place for training those employees in what it means to be a cooperative and lay out plans for growth. All of this requires ongoing training and monitoring. For those considering converting to a co-op, Hoover recommends talking with other business owners who have made the conversion to see that it’s possible and that there are huge benefits to doing it. She also encourages business owners to think about what they really wanted to build and where it’s going to go after they’re gone. How To Convert a Business into a Worker-owned Cooperative by Cat Johnson is licensed under a Creative Commons Attribution 4.0 International License. Permissions beyond the scope of this license may be available at Shareable. Cat Johnson is a freelance writer focused on community, the sharing economy, the commons and music. Publications include Utne Reader, GOOD, Yes! Magazine, Shareable, Instant Magazine, the Santa Cruz Weekly and No Depression. She’s also a music lover and player.